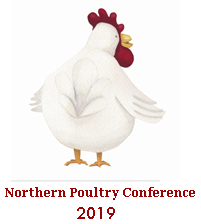 The Northern Broiler Conference is set to take place at the Oulton Hall Hotel, Leeds on Tuesday 26th February 2019. The program will cover specific broiler technical subjects along with feed and veterinary updates, making it an invaluable event for those in the poultry industry in the north of England and further afield alike. We’ll be there; hope to see you there too!